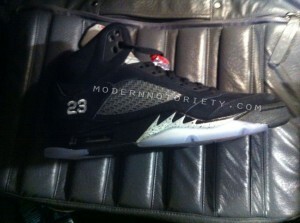 Back in January, MN broke news about the return of the Air Jordan V – Black – Varsity Red – Metallic Silver for Summer 2011. 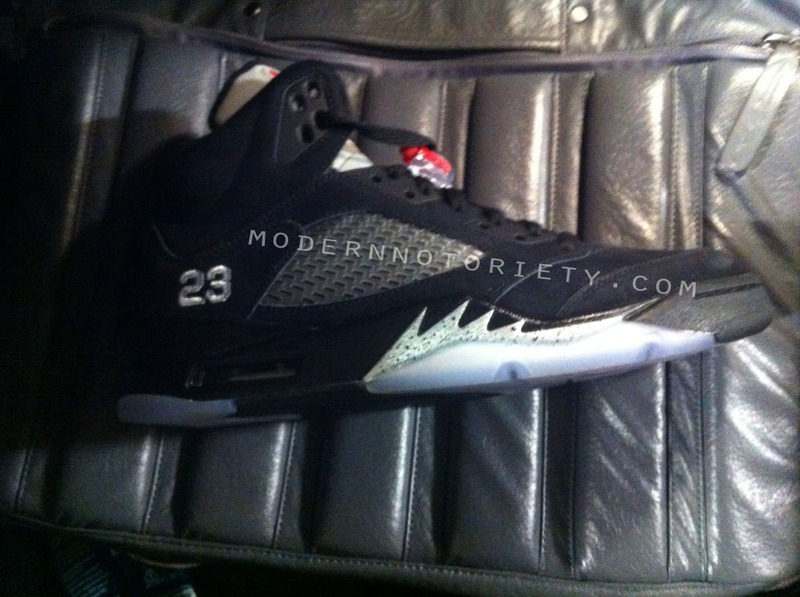 Here we have a quick preview of the Metallic V that is set to release in August. The V, like the past few retro’s, bears the number 23 stitched on the side but has a different upper unlike the usual nubuck. You can check out a bigger image after the jump. Stickie213 needs to do a preview so we can clarify what the upper really is. I believe it's the same material that's on the Bordeaux 7's.